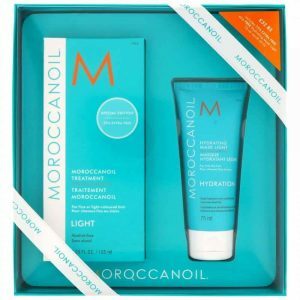 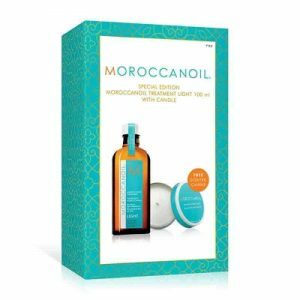 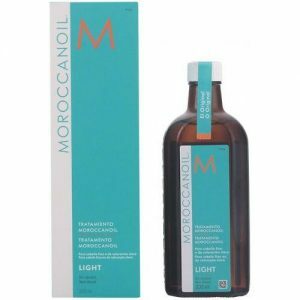 Moroccanoil Treatment Light & Hand Cream Kit. 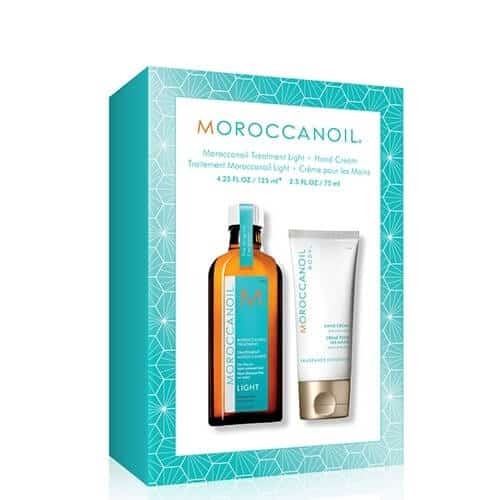 Moroccanoil Original Treatment (100ml) & Hand Cream (75ml) is a great gift pack containing two luxury beauty products. 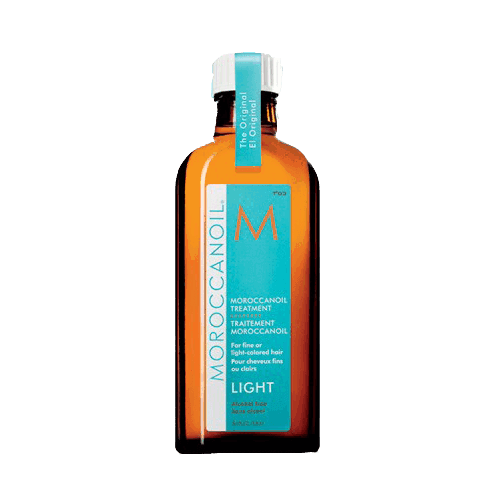 1 x Moroccanoil Original Treatment (100ml) – the ‘must-have’ conditioning, styling and finishing product which first introduced the world of haircare to the unique benefits of Argan Oil. 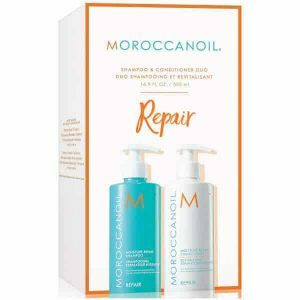 Formulated with shine-enhancing vitamins, proteins and antioxidant-rich Argan Oil, this revolutionary hair treatment strengthens, detangles, reduces drying time and leaves all hair types smooth, healthy and manageable. 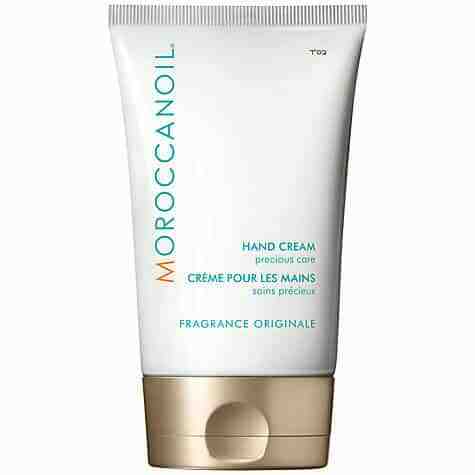 1 x Moroccanoil Hand Cream (75ml) – keep hands feeling hydrated and smelling delicious with this indulgent hand cream. 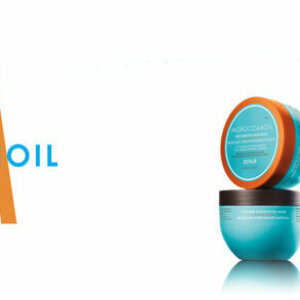 Formulated with Argan & Avocado oil plus Cocoa, Shea & Mango butter to leave skin feeling softened and repaired. 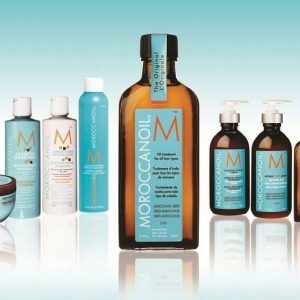 For hair in need of added nourishment, mix Moroccanoil Treatment with a Moroccanoil Mask – Restorative or Intense Hydrating.